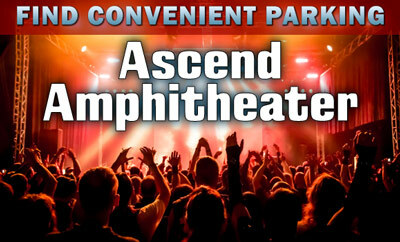 Parking.com has convenient parking for all concerts and events at Ascend Amphitheater. Refer to the map for more information on parking. The Ascend Amphitheater is an open-air event venue located at Metro Riverfront Park. The venue hosts special events throughout the year offered through Live Nation, and provides reserved, lawn, and VIP seating.